- Nickel shed over 5 percent on Tuesday after worries faded about a squeeze on supply from the Philippines, and other metals were knocked by a robust dollar that hit a 14-month high. Three month nickel on the London Metal Exchange ended at $18,925 a tonne, down 5.04 percent and making for the biggest one day price fall since May 15. The metal hit its highest since July 3 at $19,940 on Monday, after a Philippine Congressional committee approved a bill seeking a halt to exports of unprocessed mineral ores. The market was jolted in January when top exporter Indonesia implemented a ban on unprocessed ore shipments, sending nickel prices soaring. 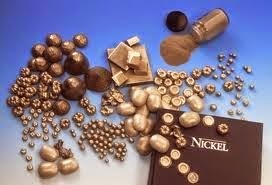 Nickel is up about 40 percent so far this year. The Philippines is now the top supplier of nickel ore for China's stainless steel industry following the Indonesian ban. "Five or seven years is a very long time. Anything can happen in that time and I would have thought that we will see nickel ease off further," said Stephen Briggs, metals strategist at BNP Paribas in London. Zinc and nickel were the biggest decliners as investors sold off long positions on the view that prices had got ahead of supply-demand fundamentals. Investors in both metals have been betting that future shortages would boost prices, but supplies are still adequate. "Zinc has moved up a ... long way, and it too has rallied ahead of the fundamentals. It certainly has moved beyond $2,300 rather sooner than I expected," Briggs said. LME zinc ended down 3.6 percent at $2,304 a tonne, and the most-traded November zinc contract on the Shanghai Futures Exchange fell 3 percent before closing slightly off its lows at 16,720 yuan ($2,726). "Open interest has tumbled today, so I believe it's to do with unwinding of previously speculative long positions," said a source at a trade house in Shanghai. LME copper closed at $6,840 a tonne, down 2.15 percent, having hit its lowest since late June at $6,821.75. 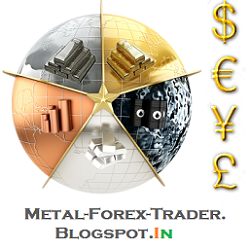 Societe Generale initiated a short copper position in a note on Monday, citing prospects of rising supply. "We recommend shorting the Dec-15 LME copper contract at current levels above $6,900 per tonne, with a target at $6,500 per tonne or lower," said analyst Mark Keenan of Societe Generale in Singapore. The Shanghai Futures Exchange reopened after a long holiday weekend but Hong Kong was closed on Tuesday.